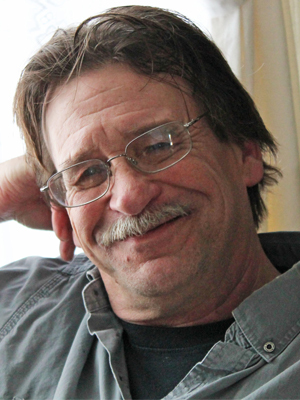 Mike Dolney, age 65, took his final breath on January 29, surrounded by his girlfriend and his children, at his home in Prior Lake, MN. An aortic aneurysm on his heart quietly released him to heaven while he was sleeping, and he did not suffer. The Chaplin had just finished a beautiful prayer, and we all accepted the finality of life with a sense of comfort and peace. A celebration of Mike’s life will be on Friday, February 8 at 4 pm, with a time of gathering starting at 2 pm, at Ballard-Sunder Funeral and Cremation 4565 Pleasant Street SE, Prior Lake. Mike lived a life of love, adventure, and entrepreneurship. Mike was always a larger-than-life kind of person. When he danced through a doorway, you knew the party had started. When he spoke, you listened. When he loved, he did so with a huge hug and a smile. Mike was someone who made people feel welcome, and who loved with all his heart. Loving relationships surround Mike’s life story. He was lucky to have a very patient mother, hard-working father, and strong relationships with his siblings. And when he married his high-school sweetheart, Gwenn, he got to hang out with his best friend for 33 ½ years. When he lost his companion, he lost himself and was wandering without purpose. Mike was saved by his girlfriend, Mary, who taught him how to love again. With a partner by his side Mike had the attention, hugs, and a skip in his step that allowed his confidence and smile to shine once again. Mike was an adventurer. As a young man he hitchhiked from coast to coast with his buddy, Butch, and $117. Jamaica and the Caribbean Islands became a favorite vacation with friends where he practiced and perfected the true “ya mon” lifestyle. His travels brought him to Spain to see the MotoGP motorcycle race and he visited all but a few states to watch races and explore new places. He shared his love of travel and adventure with Gwenn and his children as they road tripped across the country in a van or a motorhome. Mike was an entrepreneur, a business man, a salesperson. He could sell ice to the Eskimos, if he wanted to. His dreams became reality when he became the owner and manager of Burnsville Motorsports. He took pride in introducing others to the love of motosports. The closing of the motorsports business hit Mike at the core but his passion for motorcycles never waiver. After Burnsville Motorsports, Mike shifted his skills of management and ownership to the family welding business, DG Welding and Mfg where he spent the rest of his career. Health complications invaded Mike’s story beginning in 2016 and continued for the last few years as he suffered from sepsis twice, 2 open heart surgeries to repair his aortic root, and the lasting effects of multiple strokes. Mike’s quality of life changed, and Mary was right by his side as they worked through hours of therapy and finding a new normal. The stroke made it impossible for him to be independent. He struggled with finding the right words, so his jokes fell flat – Mike’s worst nightmare! When the day came, Dad was able to sign the hospice paperwork on his own and he was clear about what came next. Mike’s motto was “drive fast, take chances.” Mike has always been a brave guy. This was no different. It’s good Mike is at peace, but it’s hard to see him still. He was not a still man – he was always singing, bouncing, telling never-ending monologues and terrible jokes … we will miss him. Mike is survived by his his children Andrea (Steve) Mullenmeister, Adam (Melody) Dolney, and Anna (Matt) Ribikawskis, and grandkids Jaxson, Hayden, Devyn, Jace, Ellie, Aria, and Lexi. His girlfriend, Mary Peterson, and her children Teri and Kelly. His brothers and sisters Allan Dolney (Micky Young), Tom (Denise) Dolney, Pat (Joyce Meyer) Dolney, Mary Beth (Mark) Peterson, Jon (Jodi) Doleny and Liz Dolney. Many other family members, cousins, aunts and uncles, nieces and nephews, and friends. Mike was met in heaven by his wife, Gwenn (Beahan) Dolney, his parents Ambrose and Delores (Mooney) Dolney, sister-in-law, Lori Dolney and mother-in-law, Jane Beahan. I am so sorry for your loss. Our loving God promises to give you the strength to cope with this loss you are experiencing and he promises to hold your hand every step of the way. Please take comfort that he does care for you. (Isaiah 63:9 and Jeremiah 29:11,12. Sorry for your loss Andrea, Adam, Anna and your families. Mike was a great guy!!! Always welcomed all us to your home as kids growing up. I will always remember your parents as “My 2nd family “! Mike will sure be missed. Know my thoughts are with you all. God bless you all!!!!!!! Heartfelt sympathy to Mike’s children, to his family and his dear friends. What a beautiful tribute written for your dad! As I read this I could so picture his great smile, his laughter and the bear hug he often greeted me with. Your parents were wonderful people and I hope that you continue to live a life that honors their memories. May God bring you great comfort. First met Mike when we joined up to ride snowmobiles and raise money for the March of Dimes. That ride then turned to Special Olympics. The first thing you noticed about Mike was his happy go lucky attitude and that great big laugh that he had. Always upbeat and always ready to share a joke or a funny story. Such a loving kind person. Heaven welcomed him with open arms. May God ease your sorrow and pain at this time. What a beautifully written obit! Yes, that definitely was him. An amazingly, fun and wonderful person Mike was. If Mike was in your life, you were blessed. My heart is with Mary and his family. He gave so much of himself. Rest In Peace, Mike Dolney. It was a great ride! Our condolences. Beautiful way to capture his life. We are there in Spirit. We lift you all up in prayer. Mike was the first guy I would always seem to talk to when the pressure was on to deliver drawings for fabrication or approval. Always helpful, always cheerful to his Canadian neighbors. So sorry to hear about his passing. The obit captures the Mike I knew! Always so quick-witted. I had to be on my toes to keep up with the speed of his jokes! I am so sorry for your loss. This was a beautiful tribute to a wonderful man. Our deepest sympathy to the entire Dolney family. You are all in our thoughts and prayers during this difficult time. May the loving memories of him help to mend your hearts and bring smiles to your faces. JUST GOT BACK IN OFFICE TODAY. I WILL MISS THE CELEBRATION. SO SORRY TO HEAR OF HIS PASSING. I WILL MISS HIM. HE WAS ONE OF THOSE WHO ALWAYS HAD A SMILE NO MATTER WHAT. HE ALWAYS FOUND A WAY TO MAKE YOU SMILE. MY PRAYERS ARE WITH ALL OF THE FAMILY. I THINK HE CARED FOR OTHER PEOPLE MORE THAN HIMSELF. A RARE QUALITY NOT OFTEN SEEN IN TO DAYS WORLD . GOD WILL BLESS AND HOLD HIM. THERE IS NO WAY I WILL EVER FORGET HIM.